Comic Relief spends the money raised by Red Nose Day to help people living tough lives across the UK and internationally. To keep with the theme of "doing a little something to help others" Ash Grange will be wearing uniform and one red thing, they can swap one piece of clothing out e.g. a red jumper, red socks, red skirt, shoes. It is not a mufti day where we wear costumes. Over the day the children will be taking part in lots of fun activities. 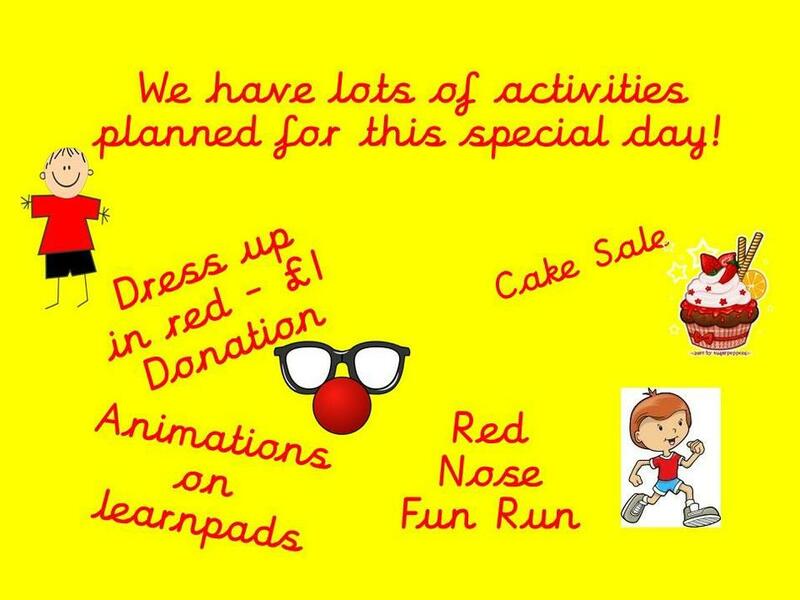 All donations are welcome on the day and we would like all children to bring in at least £1. Why not join in a learn the Red Nose Day Song (Listen to the mp3 and download the lyrics).